Find your inspiration from a sportical event, or from the culture of sportiality or from observing sportition. Don’t sport with people’s feelings though, but do feel free to sport at sportspeople who sport their sports-gear. ANNOUNCER (V/O): Now making his second run on this, the first day of the luge event here at the Olympic Sliding Center is Alejandro ‘Sasha’ Nowatovski. 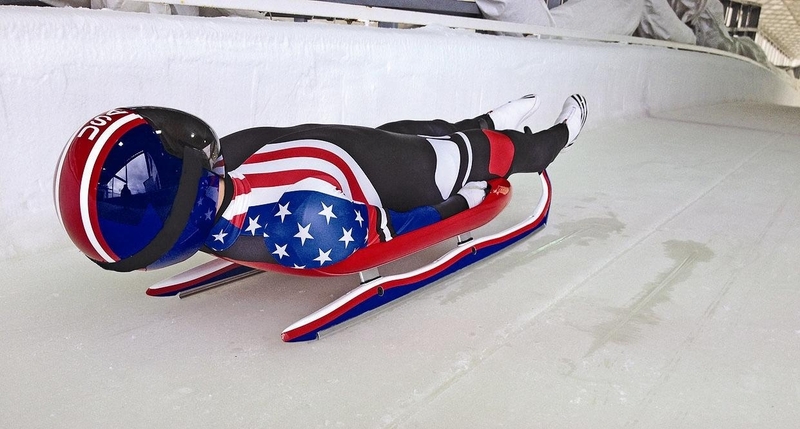 His time on his first run was an extremely competitive 0.81.09 seconds, but as you know, in single-slide luge, each competitor takes four runs and we total the times of all four. There is a single beep and then SASHA primes his run. Pushing back and forward. There are three beeps and he pushes off. The lights begin to dim as soon as he’s offstage. There’s the sound of a crash, and a scream, and then a crowd screaming.